suffered rotation. A micrometer wire was set on a maximum or a minimum, the current was reversed, and the coincidence of the wire with the maximum or the minimum was scrutinized. As a result of such scrutiny, often repeated, both observers are confident that there was no displacement amounting to one-twentieth of a wavelength. 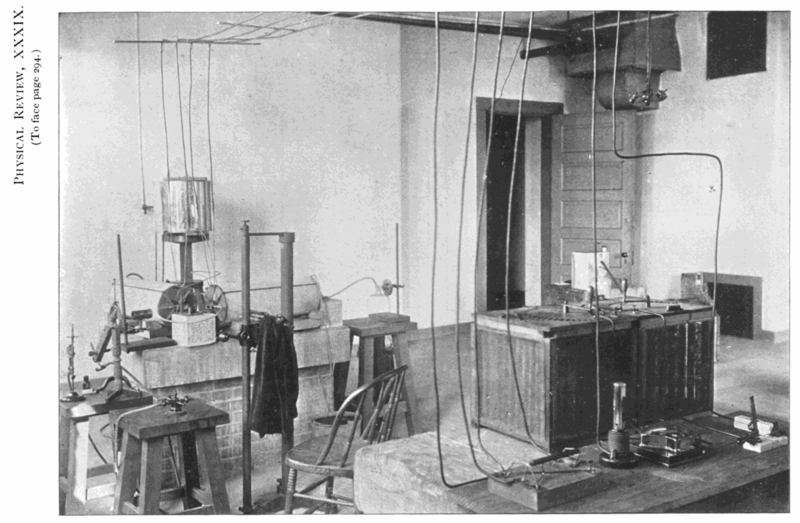 They also are of opinion that there is no advantage to be expected from an increase in the size of the apparatus, and a repetition of the experiment with carbon bisulphide, unless it shall be kept thermally and optically homogeneous by rapid motion. If dense glass, sufficiently transparent in a long cylinder, could be used in place of the bisulphide, it would probably be possible to detect a quantity which, if a liquid is employed, could not be detected except at an expense which would be prohibitory. 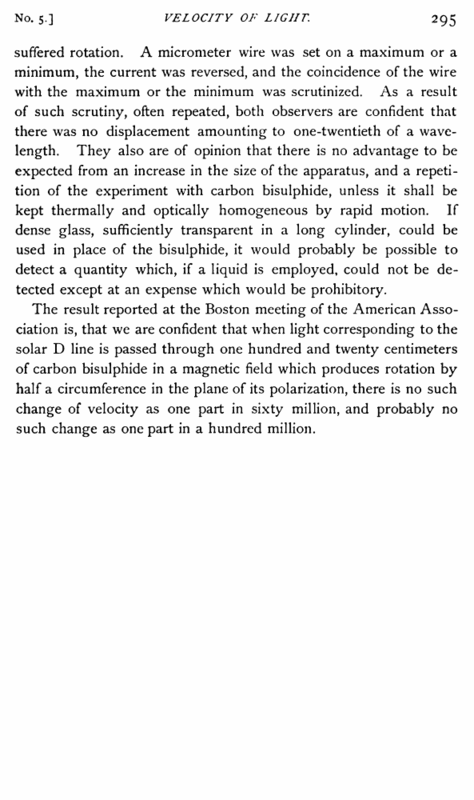 The result reported at the Boston meeting of the American Association is, that we are confident that when light corresponding to the solar D line is passed through one hundred and twenty centimeters of carbon bisulphide in a magnetic field which produces rotation by half a circumference in the plane of its polarization, there is no such change of velocity as one part in sixty million, and probably no such change as one part in a hundred million.